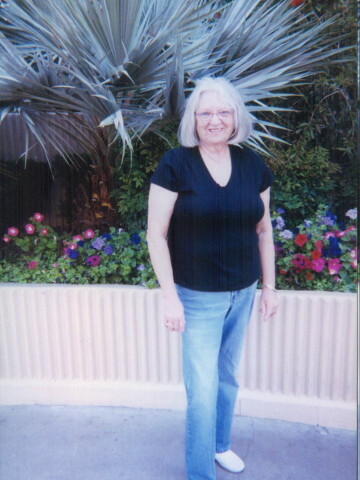 Patricia Priscilla Amato – Age 76, passed away March 4, 2014. Born in North Troy Vermont, she moved to Hendersonville with her family in 1978. Survived by her husband of 55 years, Michael; sons, Bruce & Barry (Dari Anne); granddaughter, Mystica; great-granddaughter, Mila; many nieces, nephews and extended family members. I am so so sorry to learn about Pat’s passing. I have many happy memories of holidays with you all, and different dance events we went too and her cute little laugh. Rest assured you will see her again as she is now with Heavenly Father and all is well with her. Please let me know if I can do anything at all for you. I am so sorry to hear of your loss. I thought a lot of Patricia she was a wonderful person. I loved talking to her and she was so proud of both of her boys. Just know that everyone she met will remember what a good person she was.You all will be in my prayers and thoughts. Love you all. I am so sorry to hear about Aunt Pat passing. Even though we haven’t seen each other in quite sometime, I have wonderful memories of her, memories that will stay with me always. My thoughts and prayers are with all of you. If there is anything I can do, please don’t hesitate to call. Bruce and Barry, you both have my deepest sympathies, I know all too well the feelings you are both experiencing. Today marks 10 years since I lost my dad and my mom’s 12th anniversary is April 1st. You and your families are in my thoughts and prayers in this difficult time. Embrace the memories and knowledge that she is wrapped in Grace and Love. Love and sympathy for your lost. So sorry to learn of Aunt Pat’s passing. You are in our thoughts and prayers. My condolences on the passing of Aunt Pat. She will be truly missed by all. We want to thank you all, For your prays and concern about Pat. She will be deeply missed by all. As a husband I loved that blue eye baby so much wordscannot express how much love, I have for Pat. Thanks again forall your prays….. I am so sorry for your lose , I,m missing my girl everyday,words cannot express what I am feeling.All of you take care of yourselves.